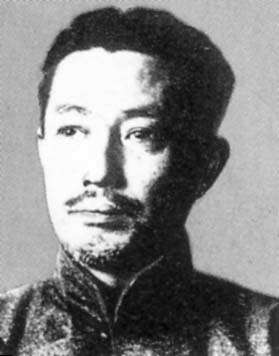 Kita Ikki (surname first) began his political philosophy with an anti-capitalism that was common to Japan's agricultural people and to militarists whose family background was in agriculture. He audited lectures at Waseda University in Tokyo, and while a student was attracted to socialism. It was not the socialism of Karl Marx, who believed in worker power. Kita's socialism, outlined in his book The Theory of Japan's National Polity and Pure Socialism, published in 1906 when he was 23, described Marxism's proletarian revolution and class conflict as outdated. He wanted a socialism produced by a unity created from above. He found himself compatible with the Utopian Plato and his elitism, and he called China's philosopher Mencius, a Confucian, the Plato of the East. Kita's next book, published a decade later, was titled An Outline Plan for the Reorganization of Japan. In it he added to the theme in his first book by advocating a united Japan pursuing a free Asia, an Asia united in opposition to Western authority and influence. He advocated a military coup d'état that would create a regime in Japan based on rule by the Emperor. Why an emperor already recognized as having the authority to rule needed a military coup d'état he did not say. Kita. He was a right-wing socialist who appealed to extremists in the military. He advocated a coup in support of the emperor who had him executed. Nakano. He was a liberal legislator known for his eloquence. Then he saw fascism as a way to elevate Japan. The rule of the Emperor in Kita's estimation should include a suspended constitution and a radically reorganized parliament free of influences that he thought detrimental to his new Japan. Kita's work influenced some in the Japanese military, perhaps moved by his having included them as instruments in creating an improved Japan. It was a childlike naivety. A faction within the military attempted a coup in February 1936. It claimed to be in support of the emperor. An enraged Emperor Hirohito would have none of it. He called the coup leaders criminals. Fifteen of the coup leaders were executed by firing squad. No dates were given for the executions, and no ashes were returned to their relatives. Kita was among those arrested and executed. A biography of Nakano Seigo by Leslie R. Oates, with the title Populist Nationalism in Pre-war Japan, points to what Fascism was at least in part: populist nationalism. The other ingredients can be said to be support for an imperialist foreign policy and enforced control over ideas – such as Plato advocated in his Utopia. Nakano (surname first) Seigo supported all of these. Nakano was a graduate of Japan's prestigious Waseda University. He was a successful journalist, and in 1920 at the age of 34 he was elected as a member of Japan's House of Representatives. He began his political career as a liberal. He was viewed as having eloquence, and he won re-elections. Fascist ideas were spreading, and Nakano bought into it. He was influenced by the writings of Kita Ikki and wanted a rebirth for Japan. The desire for a more glorious Japan was accompanied by what was imagined to be the Samurai ethic. Nakano held to a romantic view of the Samurai. He admired Saigo Takamori, the so-called "last true samurai" who led the great revolt against Meiji authority and Japan's standing army. Nakano clung to the image of rebellion and Saigo Takamori as a hero. Nakano's patriotism had a totalitarian element. With Ikki and Plato, he favored unified adherence to ideas imposed by an elite for the sake of order. He opposed the degree of democracy that Japan had, believing that leaving common people to set standards leads to an abandonment of principles. He believed as had Plato that he and those who agree with him, a philosophical elite, had a monopoly on the knowledge as to what is best for society. Democracy, Nakano said, was "the precise cause of contemporary decadence." Nakano opposed taking power in a coup as Kita had tried to do. His strategy for success was modeled after the successes of Mussolini and Hitler – a lesson Hitler had learned after his failed coup in 1923. In 1936, Nakano formed his own political party, the Tohokai party. The Tohokai party wore black shirts with armbands bearing the Japanese character for 'East'. They held mass rallies, and at its peak in 1937 the party held 11 seats in Japan's parliament – the Diet. In 1940 he and his party ran afoul from a competing totalitarian force: the government of General Hideki Tojo, who wanted a single party state, and Prime Minister Tojo was more adamantly expansionist than Nakano. In October 1940 Nakano's political party was merged into the government's Imperial Rule Assistance Association. 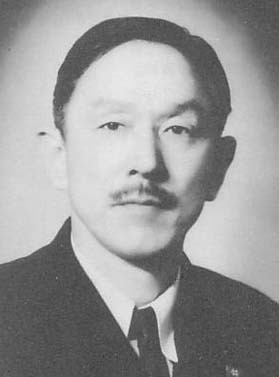 In 1942, Nakano violated his principle of organic whole and patriotic devotion to authority and broke away from the government party. He was a victim of the kind of rule that he advocated. He was forbidden to publish articles or make public speeches. In October 1943 he committed seppuku (ritual suicide) after having been placed under house arrest.